We believe in quality products, and exceptional service. We hold the fundamental belief that product performance,price, and service are the basis of any good business. We are continually striving to provide a level of service superior to our competitors, while emphasizing the highest possible quality and product innovation. Quality control is an integral part of the production process. Strict quality control measures. at each stage from pre-production, production and to final product ensure the highest standards. 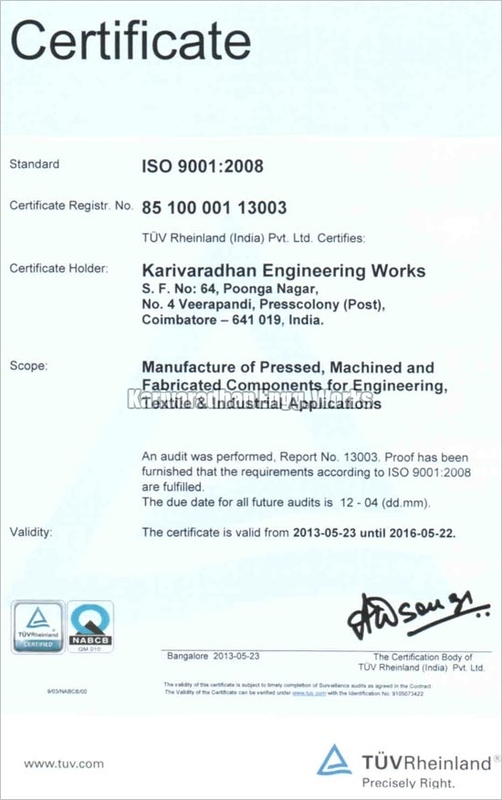 KARIVARADHAN ENGINEERING WORKS" is committed to meet customer satisfaction by offering quality product, on time delivery and continuous improvement in all processes through adopting Quality Management System.